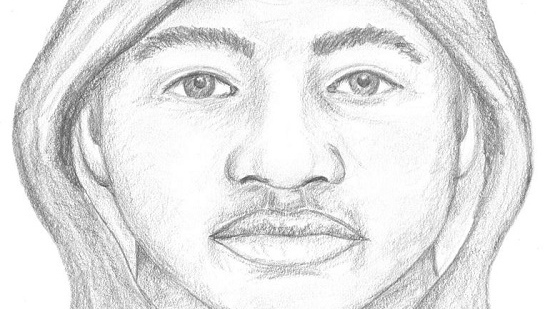 West Shore RCMP have released a sketch of the suspect in a knife-point robbery on the Galloping Goose trail. At approximately 1 p.m. Wednesday, police responded to a call that a man wielding a knife robbed another man on the trail near the west end of Rowils Crescent by Glen Lake in Langford. The suspect allegedly demanded the victim's bag. The victim wasn't injured and called police after the incident. West Shore RCMP officers, including the bike unit and police dog services, flooded the area to search for the robber. He's described as a black man with a medium build, between 30 and 40 years old and 6'3" tall. He was reportedly wearing a black hoodie and pants. The attacker was last seen running on the boardwalk at Glen Lake, RCMP said. Anyone who sees the man is asked not to approach him and to call 911 or Crime Stoppers at 1-800-222-8477.